Join Gabriella Bradley and Diana Kemp as they tour the blogosphere June 1 – August 31, 2012 with their The Samsara Chronicles series! Diana and Gabriella have agreed to give away not only a Kindle Fire but also a $50 Gift Certificate (payable by Paypal) to the person who comments the most on their 3 month blog tour. If there is a tie, the winner will be chosen through Random.org. Also, the blog hosts can win money, too! The blogger who receives the most amount of comments (not counting their own or ours) will also win a $50 Gift Certificate (payable from Paypal). If you don’t have a Paypal account and would like to receive your gift certificate from Amazon, that can be arranged, too. 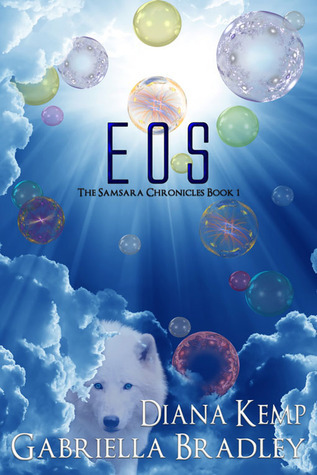 Eos is an interesting beginning to what I believe is a fantasy series with sci-fi/new age/religious factors woven through it. The basic theme is obvious: there will be some battle between good and evil and the pregnancy of Seanna is the important factor. In the opening scene, Seanna, 41, content after dinner and wine, settles down to sleep while her husband, Blake, 42, showers. She has some sort of sexual and spiritual awakening in this state of cosmic consciousness, then awakens fully aroused when her husband climbs into bed. The chapter jumps ahead five months and she is at her gynecologist's office having an exam. We learn she could not conceive and the couple had really wanted children. On this day Seanna is told she is pregnant--five months so. She runs the gamut of shock, surprise, how will Blake react? At home she breaks the news to him and he is thrilled. Ever since that night when Seanna experienced her 'amorous' breakthrough, she and her husband have rekindled the flame of desire from early in their relationship. That night strange lights flash around her room, scaring her, until a voice tells her not to worry. These beings are an ancient race called the Antiquites and they will 'watch over' her family and daughter. The second chapter takes places four months later as Seanna and Blake, the happy farming couple, await the birth of their first child. When their daughter is born, those magic bubbles appear to help the baby. Seanna suggests naming her Aislinn, as the voice told her many months back. The next chapter then shows Rome--26 years later--ravaged from World War III. A priest is walking among the ruins and picks up a young girl who speaks to him in his mind. They both know about this Sister Aislinn who is coming. The priest knows this girl is special and is able to arrange a place for her on the last plane out of Rome to Canada. It is obvious this first part is the foundation for this long series of short story and novella sized segments. I'm not sure I'm comfortable with calling forty to fifty pages a "book." I found it difficult to connect with any of these characters or care about them in such short sections. The flowery language used during Seanna's otherworldy visits gave them a surreal feel, but they seemed overdone. I have more questions than I have found answers for which the authors will hopefully address in future installments. As a whole there was a certain level of disconnect and a fuzzy coldness--from the jump in time and not getting a feel for the characters--which makes me wonder if this was the author's intention to pique my curiosity. The last chapter held promise with the little girl and that candelabra she is telepathically told to rescue from the rubble to make me read further. Will she meet Aislinn and will there be white wolf cubs wherever she is? Perhaps the answers await in the next book of the Samsara Chronicles. Cover comment: There's the wolf and those bubbles Seanna sees. Colorful but I'm not sure this would grab me. About Diana Kemp: Toronto native Diana Kemp is a multiple award-winning screenwriter and author with one hundred and thirty film festivals and screenwriting competition awards/placings to her credit. She is the co-writer of an NRL (Naval Research Lab) documentary (http://www.nrl.navy.mil/media/videos/nrl-extended-video) produced by David Bellino of Second Wind Films. About Gabriella Bradley: Gabriella Bradley lives amidst rugged mountains. She more than often has a grizzly in her backyard searching for food. Other critters that visit on a regular basis are cougars, coyotes, squirrels, raccoons. This Kindle Fire promotion will run from June 1 – August 31. 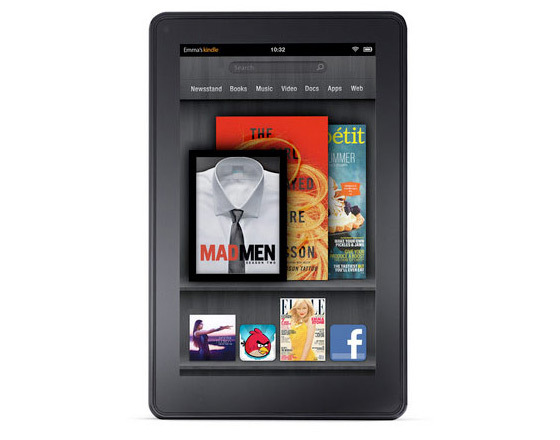 Winner will be chosen randomly by Rafflecopter, contacted by email and announced on September 1, 2012.